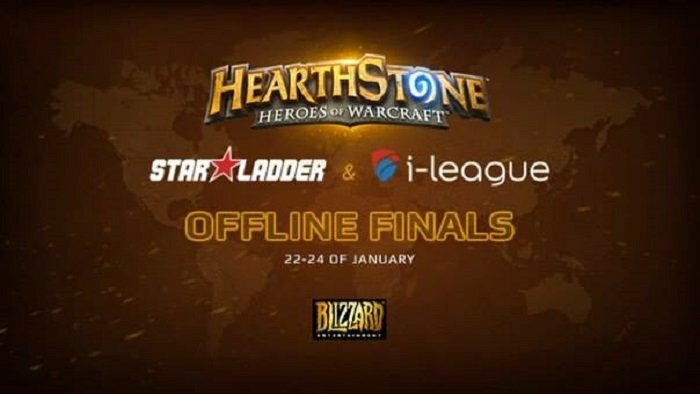 The SL i-League StarSeries tournament concluded this weekend and the winner was Lanshengzhe from China, who is also known as Robin. He beat Cipher 4-1 in the final to take home $20,000. All matches until the Final were best of five conquest with a ban. The final was best of seven conquest with a ban and a revive. In the quarter-finals, Dog beat new NaVi signing, Surrender, 3-2. Cipher beat Stan Cifka 3-2. In the first semi-final, both players banned Druid. Game one was Paladin vs Paladin. Cipher brought a standard looking Secret Paladin, while Kolento brought Murloc Paladin. Kolento took a 1-0 lead, as wave after wave of board clears made it impossible for Cipher to deliver anywhere near enough damage to threaten lethal. Cipher stuck with Secret Paladin for game two, and a turn one Secretkeeper survived for six turns to level the scores at 1-1. Game three saw Cipher's Freeze Mage take down the Zoo deck, and in game four his Combo Renolock again beat Zoo to give Cipher a 3-1 victory. All three of his wins were against Zoo. Lanshengzhe took a very fast 1-0 lead with Face Shaman against Control Priest. He then doubled that lead nearly as quickly as his Zoo deck defeated Dog's Demon Handlock. Dog's Handlock deck then beat Secret Paladin to pull back a game, but he couldn't beat it with Control Priest in game four, and Lanshengzhe advanced to the final. Lanshengzhe plays for Yolo Miracle, under the name Robin, who recently finished second in Team Story China. All of our reports from this event can be found here.